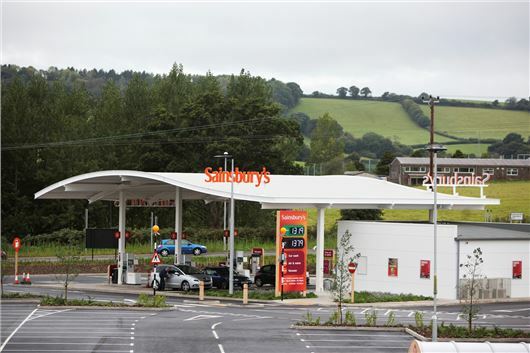 Sainsbury’s is cutting the price of petrol and diesel by one pence-per-litre from 21 October. Nectar card holders can also gain 10 extra points on every litre purchased until the end of October, the supermarket confirmed. Sainsbury’s claims that the deal will be the equivalent of a five pence-per-litre reduction for Nectar card holders, although the savings will be somewhat more modest for those who are not signed up to the loyalty card scheme, with just one pence saving on each litre. However, the drop will be welcomed by motorists, with prices slowly heading towards the symbolic £1 per-litre benchmark. The fall in fuel costs over the past 12 months has largely been attributed to a drop in global oil prices, which has been caused in part by a price war by the Organisation of the Petroleum Exporting Countries (Opec). As a result there is a global surplus in petrol and diesel.